The Cassini spacecraft snapped this high-resolution image of Saturn's small moon Epimetheus during the spacecraft's non-targeted flyby on April 7, 2010. 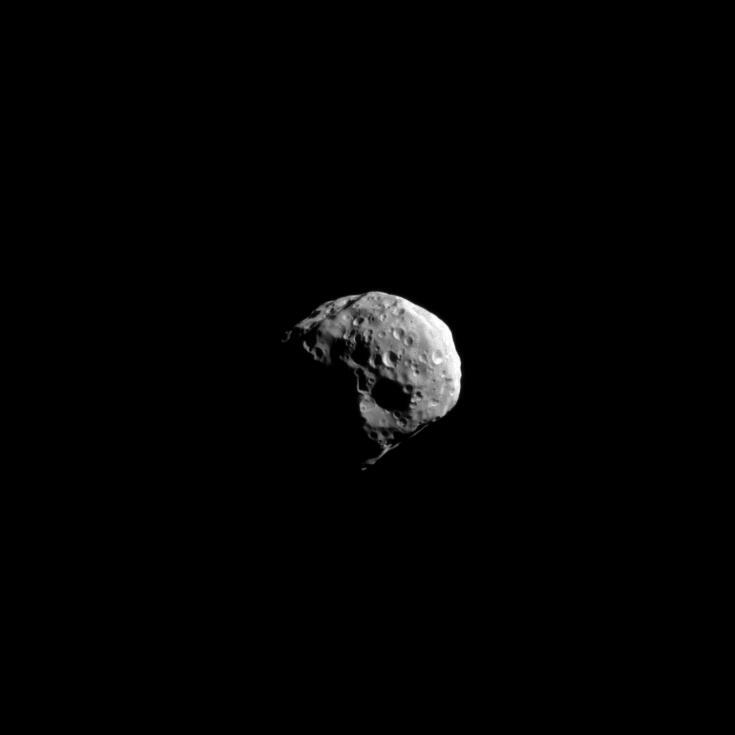 The view was obtained at a distance of approximately 107,000 kilometers (66,500 miles) from Epimetheus and at a sun-Epimetheus-spacecraft, or phase, angle of 62 degrees. See PIA09813 and PIA06226 for even closer views. Lit terrain seen here is mostly on the Saturn-facing side of Epimetheus (113 kilometers, or 70 miles across). 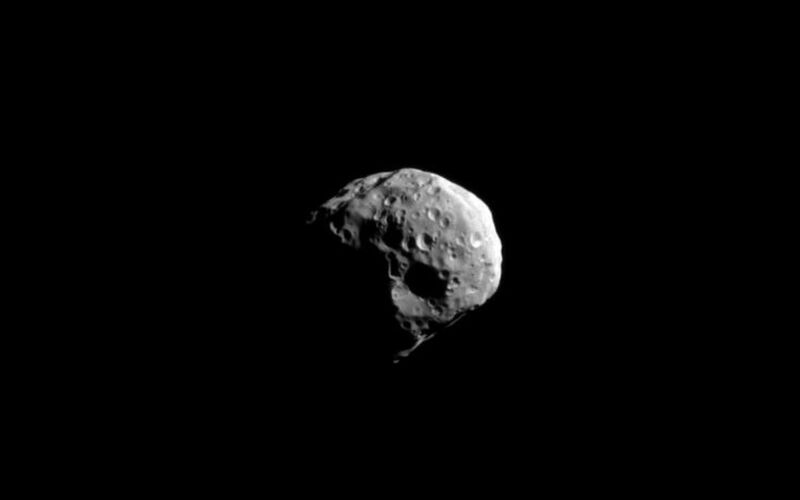 North on Epimetheus is up and rotated 26 degrees to the left. The image was taken in visible light with the Cassini spacecraft narrow-angle camera. Image scale is 641 meters (2,103 feet) per pixel.